This book can be purchased seperately or is included FREE in the Level Four Tuning Fork Therapy® Practitioner Certification course. 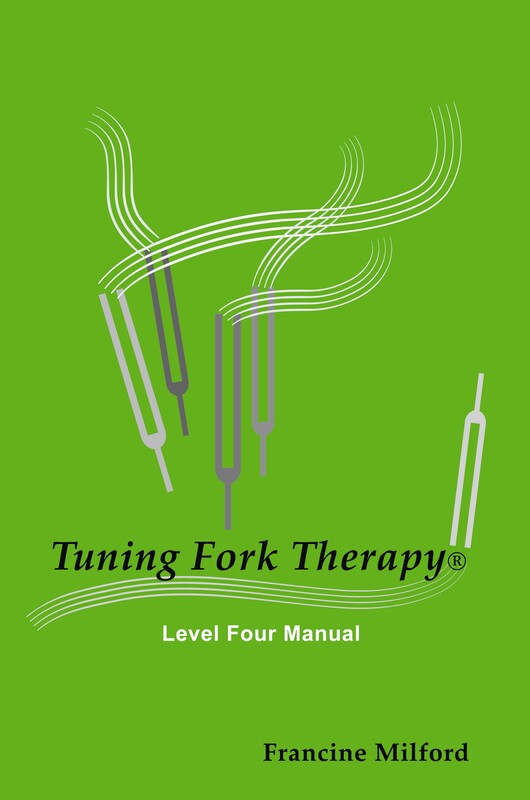 After students have completed all of their assignments and returned them and the test to the center for grading, successful students achieving a grade of 80% or higher will receive the Level Four Tuning Fork Therapy® Practitioenr Certification. These students will then be called a Level Four Tuning Fork Therapy® Practitioner and be able to instruct and certify students, using the center's tools, in levels one, two, three and four. To purchase the Level Four book-only. Cost: $30 plus $3.99 postage (US only). What is covered in Level Four?